Random Anny .Com: Noooooooooooo! DVDs are 1.99 now! Noooooooooooo! DVDs are 1.99 now! The recent influx of sealed dvds must have led the local Salvation Army to double their prices! Interesting but I will stick to my lint remover. Its time to start listing all this Christmas stuff again. Can't you imagine someone Sweating to the Oldies on this bike? It was a new arrival and not priced yet but I bet it finds a home quickly. 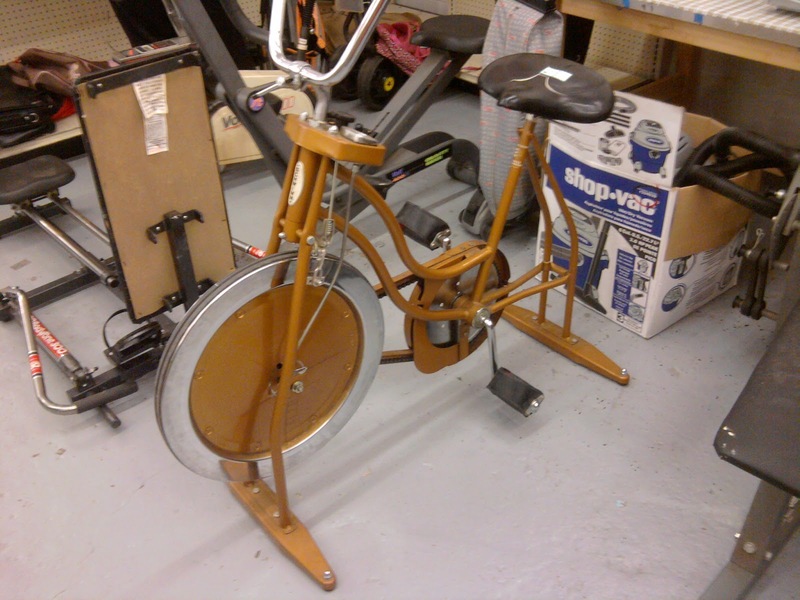 My grandma still has an exercise bike like that in her basement. I remember riding it a lot as a kid!